Baby Showers, Baby Shower Supplies & Baby Shower Ideas | PartyCheap helps make memories that last a lifetime. For that special mom to be we have a Mom to Be Sash and Mom to Be Button, and don’t forget grandma with her very own Grandma to Be Sash. Pink and blue are the most popular colors used in a baby shower. We have pink 'It's a girl' banners, streamers, and pink and white tissue decorations. Likewise, we have baby blue streamers, window clings and light blue garland. We also have the traditional Stork delivering a bundle of joy. 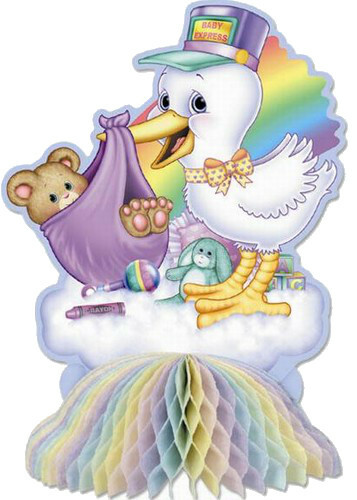 Teddy bears, ducks, and storks are the most popular baby animal decorations. No matter how big or small your party is going to be, PartyCheap has all the decorations and supplies you will need.